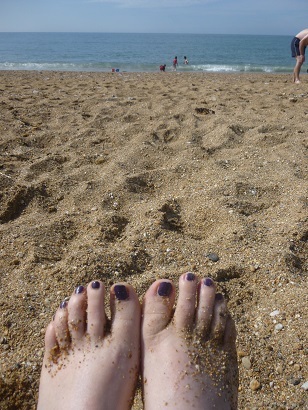 Well, we’re now back from our summer holiday, which featured both beaches and extensive mud. Safe to say that during a fortnight in Dorset in August the weather was mixed. When it was good, it was very, very good, and when it was torrential rain, it was horrid (with apologies to Longfellow). Horrid is perhaps a bit harsh. 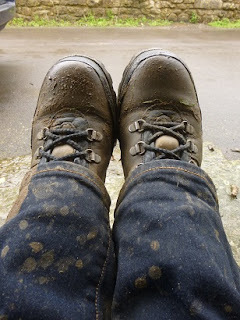 We plodded on through the rain, and the children were certainly happy to go to the Minions movie or Bovington Tank Museum or wade around Buckham Fair in the mud, it was more me being grumpy under an umbrella. When the sun did come out, it was glorious. In my head, I wrote many fine blog posts about things to do in Dorset in the rain, stretching pork roasts, packing picnics and the incredible appetite of caterpillars for my newly-planted nasturtiums. None of them made it onto the screen due to my inability to combine child care and blogging without chaos ensuing from both. But now the children are back at school so I might yet get to my computer more often. Here’s hoping!